Image: Alon Skuy Deputy chief justice Raymond Zondo chairs the commission of inquiry into state capture. The writer feels it could be a stepping stone for him to become the highest man in our judiciary. The commission of inquiry into state capture is finally under way in Johannesburg. But it continues to be clouded in public scepticism, with doubts over whether we should expect anything of value out of it. Commissions of inquiry in SA don't have a rosy history. Under apartheid, they were used to cover up the immoral actions of an illegitimate government. Post-apartheid commissions have also not proven themselves to be very helpful. Two recent commissions stand out among the most disappointing. It was clear from the outset that the Seriti commission on the arms deal was set up to find Jacob Zuma not guilty. The Marikana commission also has the appearance of a whitewash. Which politician has it found guilty? No police force anywhere in the world can massacre people like that without a green light from politicians. Don't listen to the usual propaganda about the authority of commanders. Given this, it is understandable why South Africans are sceptical about the value of commissions of inquiry. But there is something politically unique about the state capture commission. First, the commission was appointed by an "implicated" president who is no longer in office. The commission's findings will therefore not be presented to the now-toothless man in Nkandla. Justice Raymond Zondo knows this. 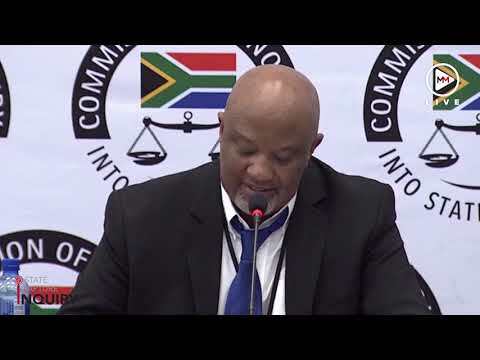 The second political factor is that the president who will receive the findings of the commission has no interest in protecting the one floating in a fire pool in the rural areas of KwaZulu-Natal. It would indeed be naive to treat our current president as if he is not a politician. But it would serve his "Mr Clean" image well if he were to be seen nailing his predecessor. If the commission were to find that the man in Nkandla has a criminal case to answer, why would a buffalo protect him? It is important to note that the rich scion of the man in Nkandla has already appeared in court on charges relating to state capture. This would never happen before the buffalo became powerful. The third unique political factor is about the judge who is heading the commission. He is currently our deputy chief justice, and therefore in the queue to become the highest man in our judiciary. Would Zondo not enjoy Mogoeng Mogoeng's chair? To get it simply by doing a thorough job at the state capture commission would be the cleanest thing a judge can do. If the ANC were to win the 2019 elections, which looks certain to happen, Ramaphosa will most probably be the one to appoint Mogoeng's successor. Again, Zondo knows it. The three political factors we have alluded to seem set to deliver a positive outcome from the state capture commission. All this may sound like conspiracy theorising, but we must not lose sight of the commission's importance. For the first time since 1994, a small band of Indian crooks conspired not to rob a bank or to secure one big tender, but to steal our entire state. So confident of success were they, that the thugs even had the temerity to land their private jet at our national military airport. It is like someone who steals your wife and returns to relax in your lounge. As if that was not enough, the crooks were so brazen as to make ministers of the most useless of our politicians, in a cabinet nominally run by their collaborator. Our state-owned companies are now in a massive financial mess because of the very same thugs. Eskom, SAA, Denel, Transnet and others where looted as if there would be no tomorrow. The state capture commission, therefore, must do two things for SA. It must identify legislative and policy gaps that must be filled to ensure that state capture never happens again. And, based on firm evidence, it must identify all those who have assisted the thugs to loot our resources, and recommend them for prosecution. We will know that it was not a waste of our money the day people like Malusi Gigaba, Des van Rooyen, Brian Molefe, Mosebenzi Zwane, and indeed the man in Nkandla, are seen wearing an orange uniform.